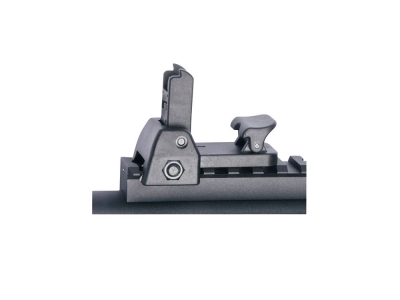 Detachable flip-up sights with fiber optic illumination. 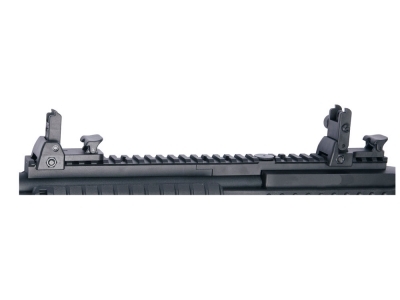 These sights feature a low profile and when folded down they stay clear of the optical sights, they are spring loaded and a large easy accessible button releases them. They have fully adjustable windage and elevation. The fiber optic illumination provides a fast sight picture in low light conditions. Fits any 21mm RIS rail.